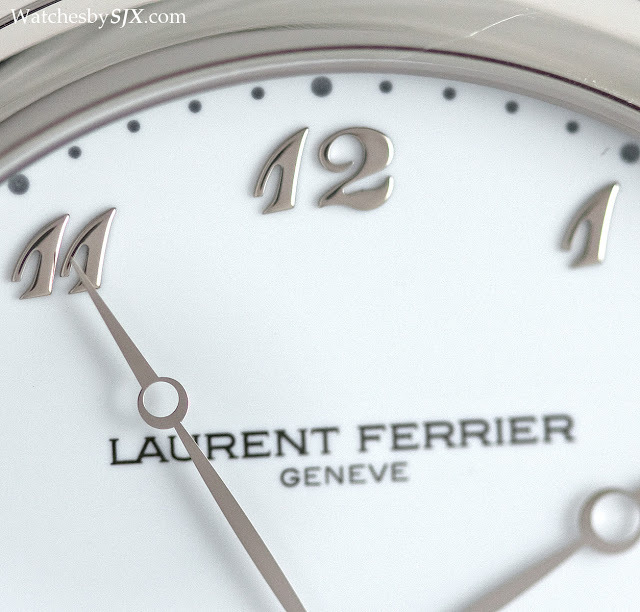 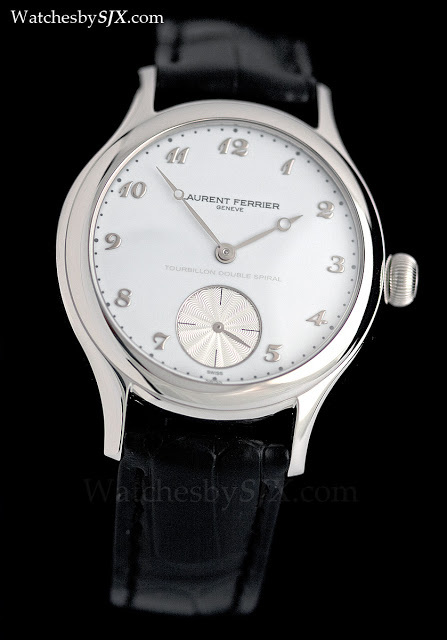 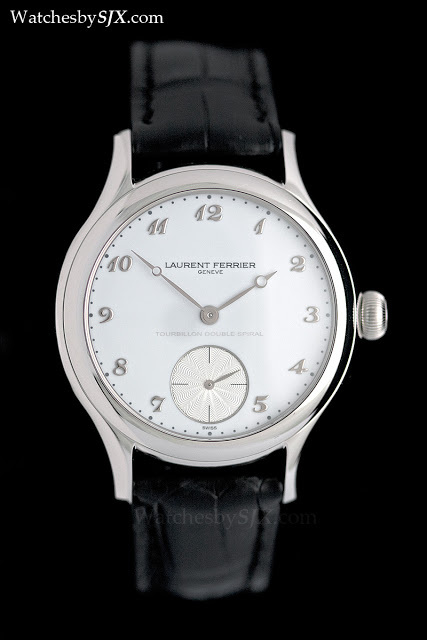 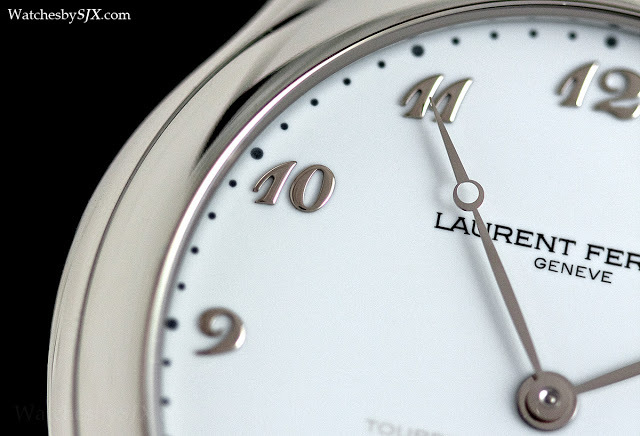 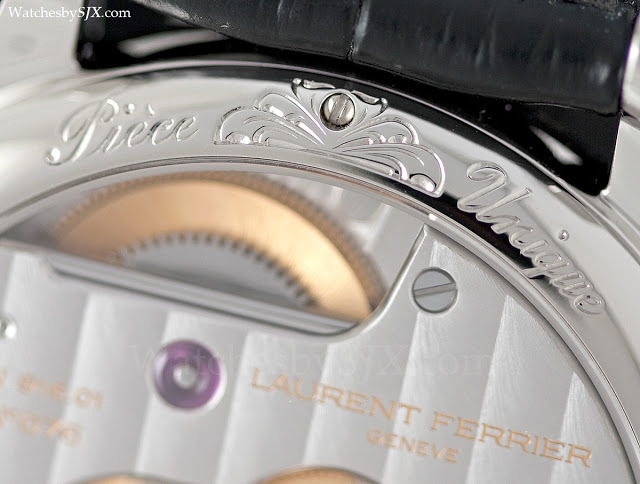 The Laurent Ferrier Galet Classic Tourbillon Double Spiral is a classically beautiful watch. 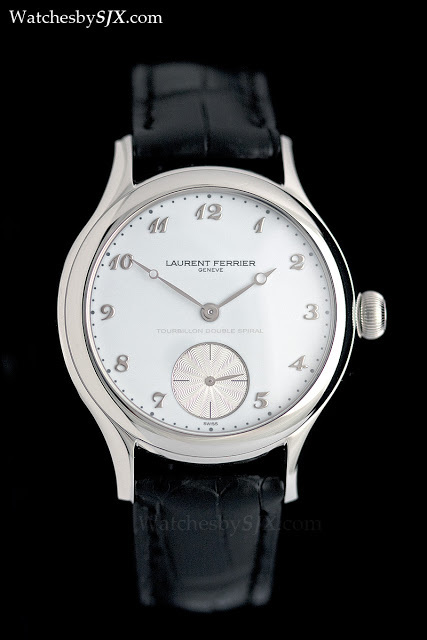 Originally offered with either a white grand feu enamel or onyx dial, it has subsequently been presented with an ivory enamel dial, and also dark, slate grey. 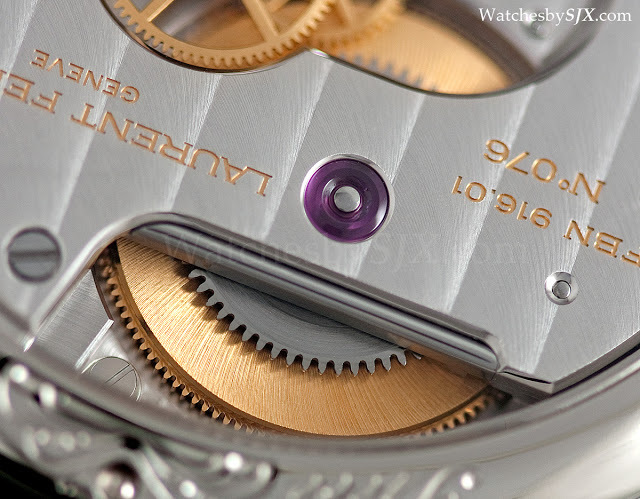 But all those dials, which are part of the regular production series, have Roman numerals. 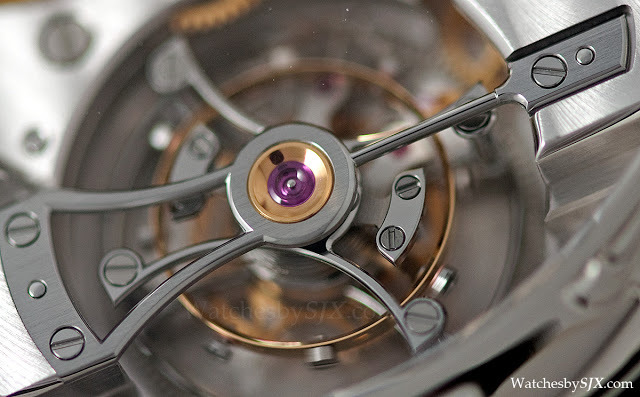 Several unique pieces have been made with Breguet numbers, and these are beautiful. 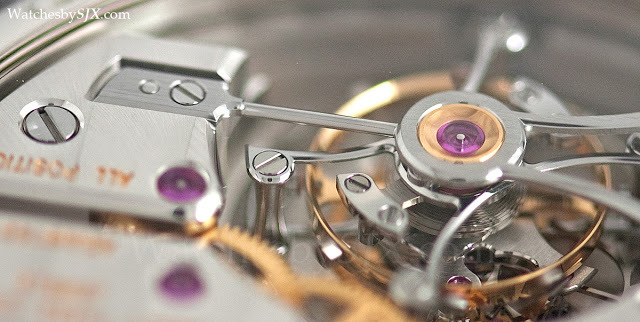 Pictured here is one such unique piece, made for Singapore retailer The Hour Glass. 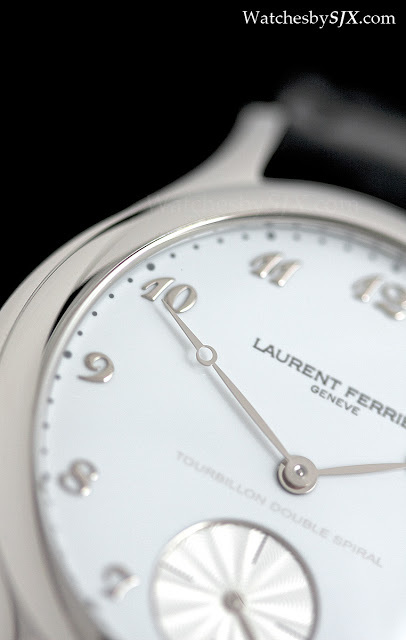 This is in platinum, with a white grand feu enamel dial and applied grey gold Breguet numerals. 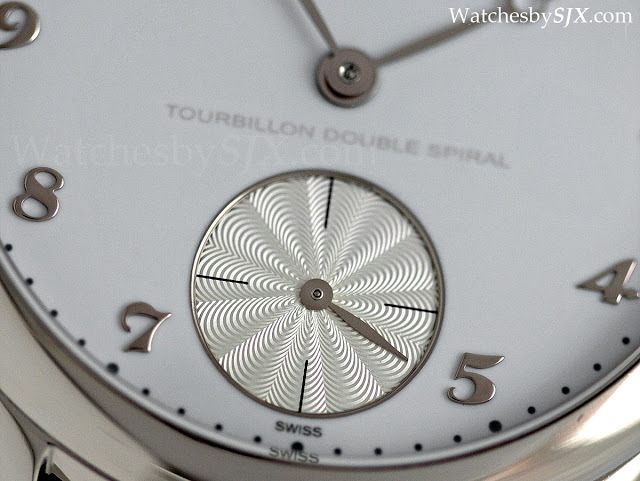 But what makes this unusual is the enamelled subsidiary seconds dial, in an off white, silvery tone, with a guilloche base. 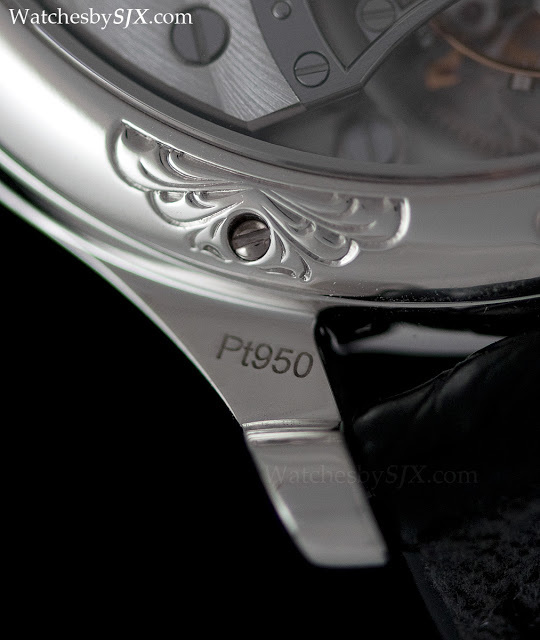 It is a subtle detail, not extremely apparent at a glance, but visually striking. 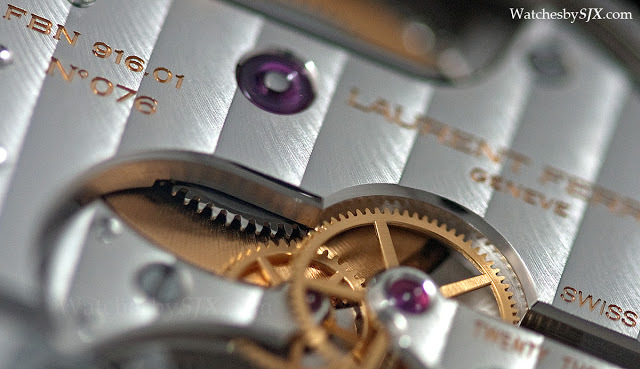 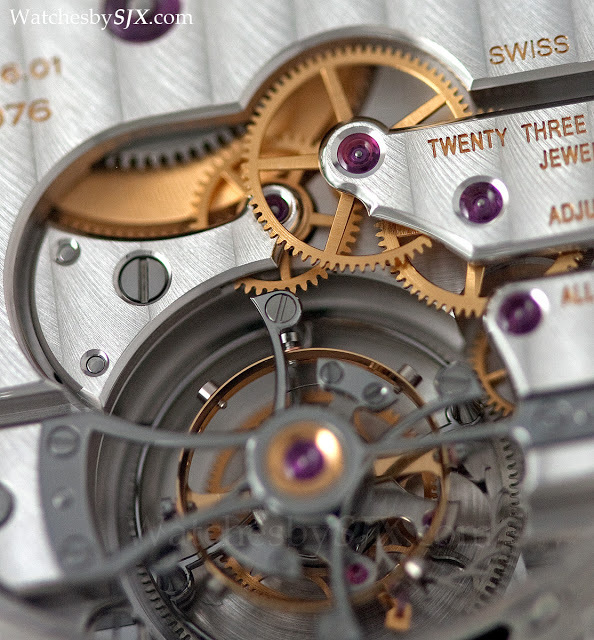 This unique piece also has a specially decorated case back – the area around each of the five case back screws is hand engraved. 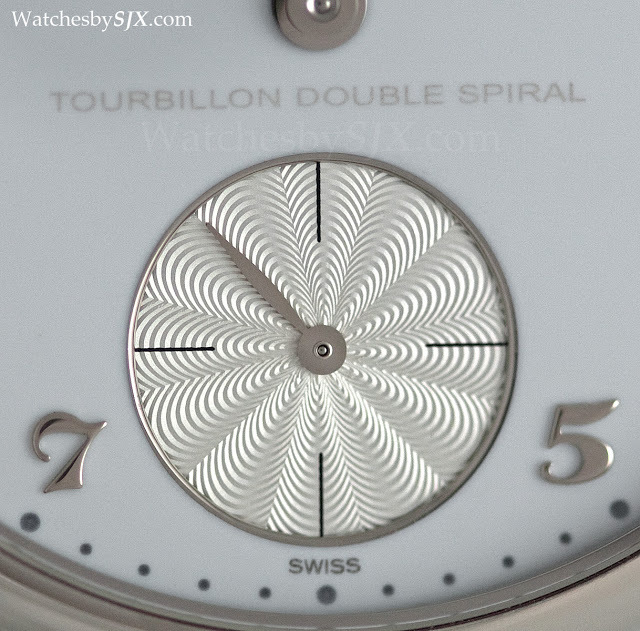 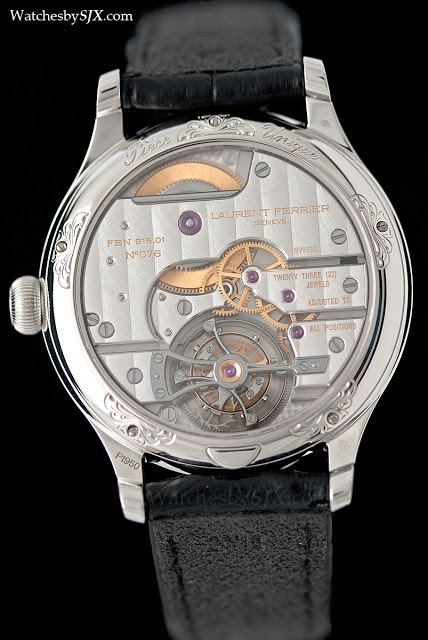 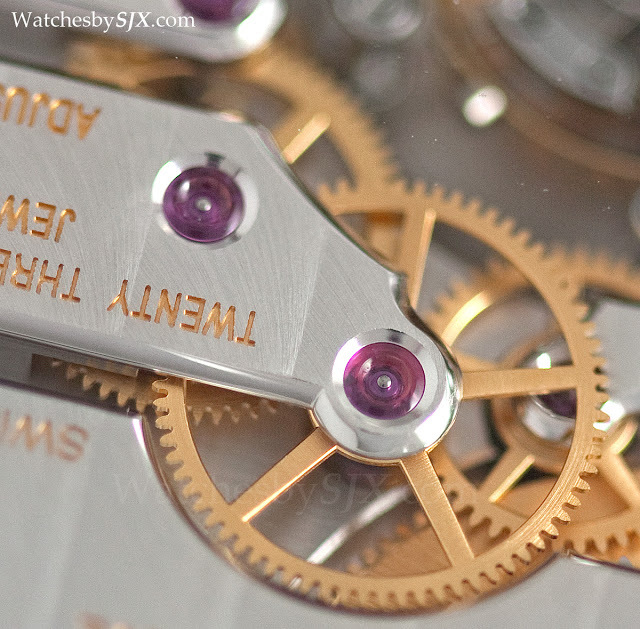 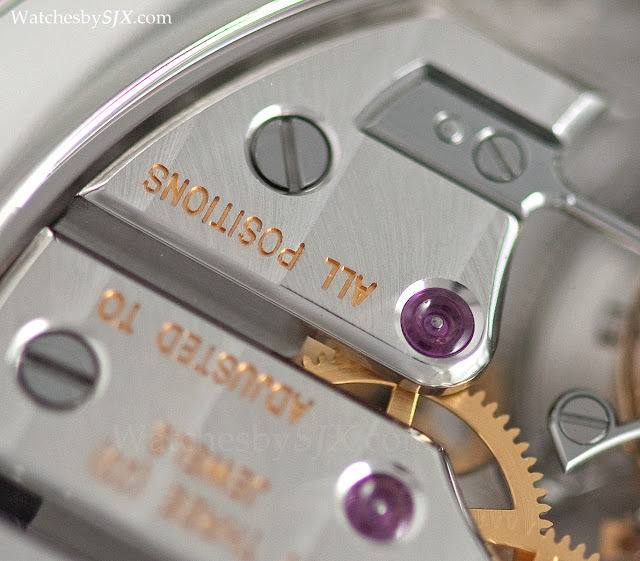 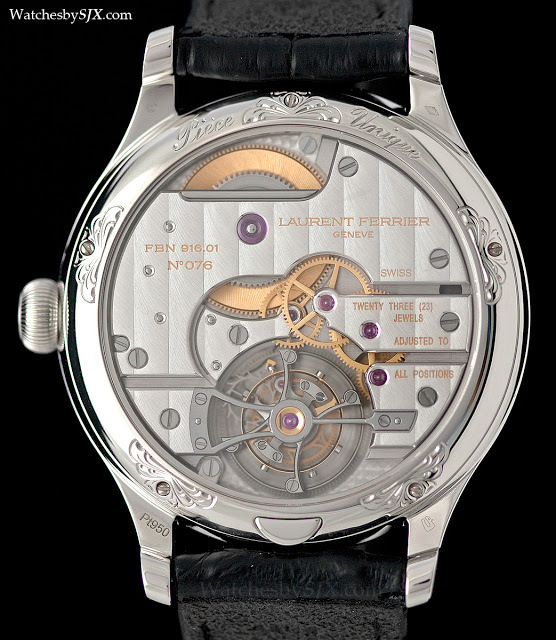 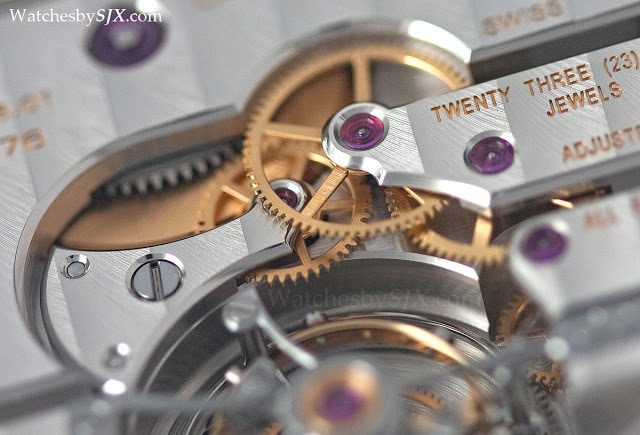 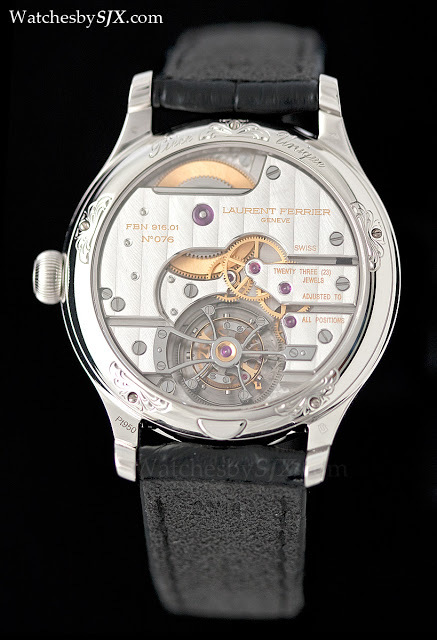 Inside is the same FBN 916.01 tourbillon calibre as found in the regular Galet Tourbillon. 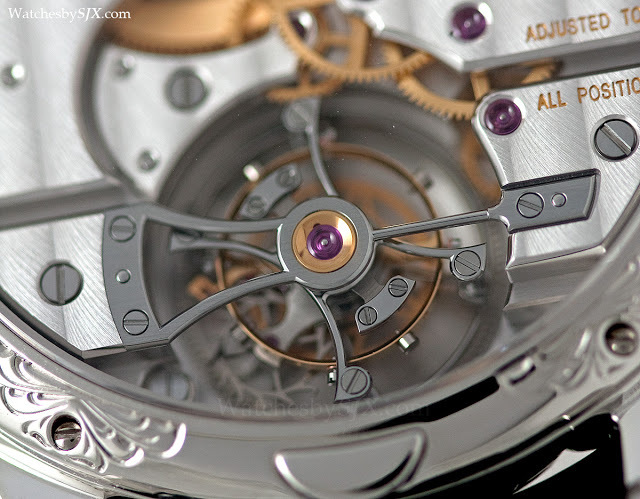 There isn’t much to say about this except that it is beautifully finished, impeccable. 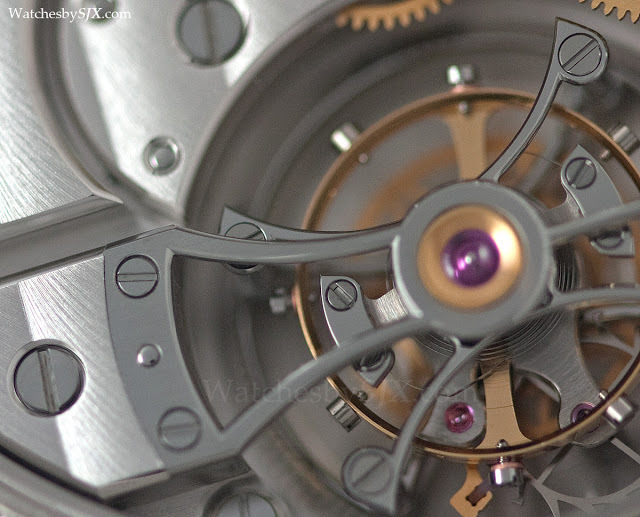 An especially delicious detail is the steel tourbillon bridge like those found in vintage observatory tourbillon pocket watches, which also provide inspiration for the calibre as a whole. 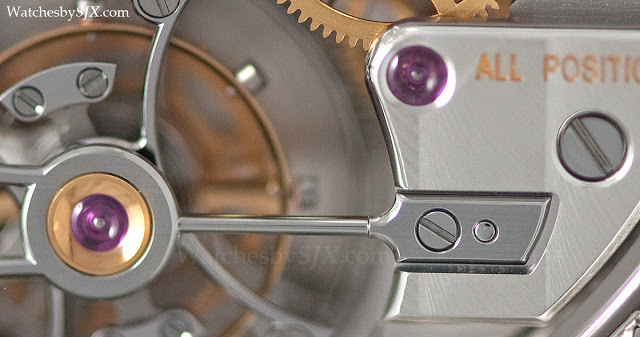 The movement has an appealing aesthetic, and also visual depth, because the shape and layout of the bridges is also well thought out.